In Universe 101, Monica Ortiz helps us answer the questions: Why are we here? How can we be better people? How can we relieve ourselves of any spiritual baggage carried forward from the past – whether a past life or our childhood? How can we truly love ourselves, those we are in relationship with, and the world in general? 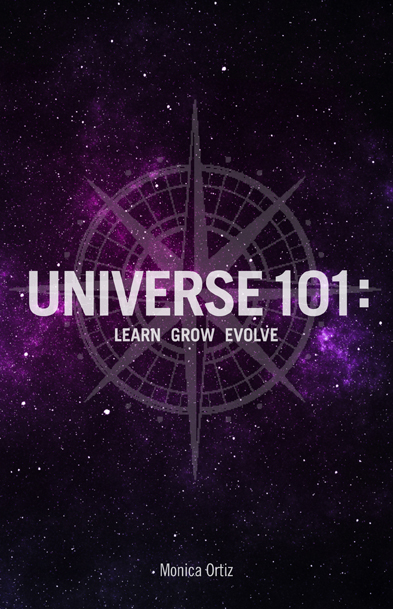 If you’re ready to be truly honest with yourself, take a look at any past errors you have made, give up judgments of others, and evolve into the best you can be, please pick up Universe 101: Learn, Grow, Evolve. 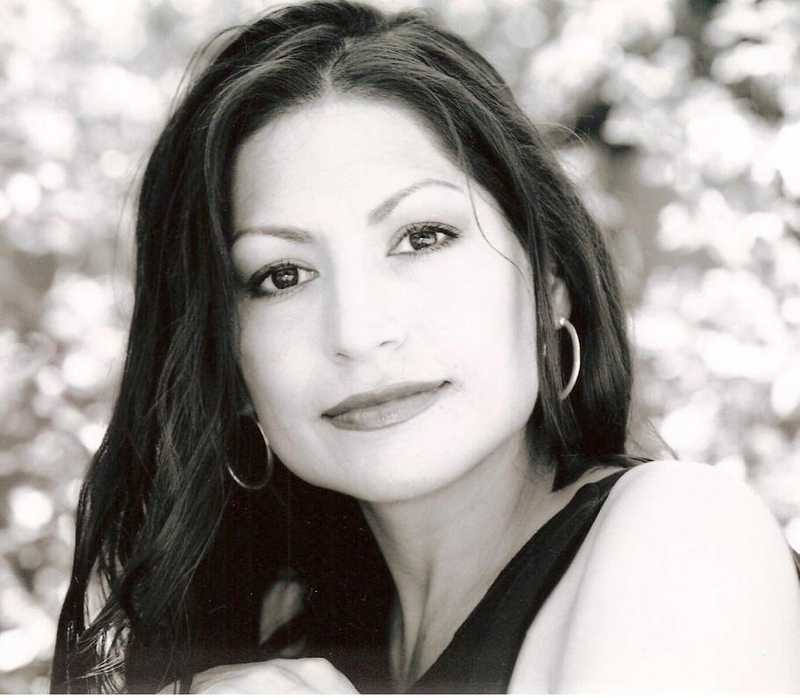 Monica Ortiz says that we come into this life with our Core imprinted with who we are supposed to be in this life and what we are supposed to achieve. However, life circumstances can pull us away from our true path and happiness. If you feel this may have happened to you, Ortiz offers a way to reconnect to “The Core of Your Being.” She offers concrete advice, as if she were your personal life coach, advising that you answer these questions with complete honesty: Who am I? and Who do I want to be? Then, you must find and dig out the roots of any damage that has kept you from your destiny. She believes that with honesty, love, good communication, and deep understanding of yourself and the others involved, you can move forward in your path of evolution. Ortiz explains how you will find inner peace and better health once you get through your Spiritual Baggage and reconnect your mind, body and spirit. I like Ortiz’ strict guidelines on learning to love yourself, first of all by not doing things that make you dislike yourself. She gives great advice on how to be a righteous person who keeps to your word and shares the goodness inside of you with the world as part of your universal responsibility. She asks tough questions and delivers thoughtful advice and specific steps you can take to develop into a better person and progress on your spiritual path. She shares secrets learned from her Grandfather, and his spirit after he passes, as well as lessons she learned growing up in a difficult family and surviving several difficult relationships. Whatever form of spiritual or religious beliefs you may have, this book will touch you with its wisdom. Whether it’s how to forgive, or how to pray honestly from your heart, Ortiz’ advice will help you lead a happier, healthier life. The interesting stories woven into each chapter make the life lessons easy to relate to. Becca: How would you describe your “spiritual gifts” and how do you use them in your work? Monica: I have a gift of future vision, I have a gift of past vision (being able to see into someone’s past) and present vision. I can look into someone’s past to identify significant events that have affected them in a negative way, keeping them from their happiness. While I am assisting someone in working out their current issues, my gift of sight also allows me to take a glimpse into their future and guide them along the best path for them while taking into account the adjustments they are currently making in their life. If I see a course for them that is unhealthy, I am able to make them aware of it and this allows them to make healthy choices and achieve success in their life. Becca: How do you help people get “unstuck?” What initial advice would you give the reader who felt this way? Monica: There is a myriad of reasons why someone becomes stuck in their life… parental pressure, societal pressure, peer pressure, one’s own expectations of oneself, a build up of many mistakes that leaves you in a painful place of not knowing how to unravel it. I help people get unstuck by targeting the issue in a clear way and then slowly peeling back all of the layers, exposing the root of the issue and then assisting them in rebuilding something that they need in their life. The first question I recommend people ask themselves is “Why am I feeling stuck?” because it starts there. Monica: There is hope for a better life. A life filled with happiness, success (finding the perfect job, finding true love, having a good relationship with parents, etc. ), good health, inner peace, and fulfillment are all achievable. Monica: The Universe, as it was my calling and it knows there are so many people out there who need help. Also, my friends and prior clients who have benefited from what I teach and who are now living their dream lives. Monica: I hope people will understand the book and understand that the journey to a better life can start any time they choose. On page vii, I wrote “When you read this book and then sit and ponder all that is in it, if you learn even one thing, grow, evolve, and find peace in one aspect of your life then this book will have served you.” I still want that for everyone. In the beginning, I hoped that the book would help people. Now that I am getting such positive feedback from people who have read the book and have attended my lectures, it has changed to a hope of reaching more people so they can get the help they need. Becca: Where do you find your inspiration to write? Monica: From the Universe. I am very purposeful in my writing and feel I need to be that way because people are relying on me to really help them. I truly want this for everyone. I wholeheartedly believe Peace within oneself is absolutely amazing and can lead us to Peace throughout the Universe. Monica: We all have stories of love, and pain, of despair and hope, of loyalty and mistrust, of resentment and forgiveness. I say “share” and remember to be mindful of your motivation for sharing and your intent of what you want to achieve by your sharing. Be mindful of what you are putting out into the Universe and how it will affect others. Your website is absolutely amazing! I am fascinated by your metaphysical reviews and I would like to introduce The Candid Nation to you. candidnation.blogspot.com is metaphysical and spiritual, and I hope you can follow The Candid Nation either through the website, disqus, facebook, or google+. Thanks and keep up the great work! In a tentative attempt to overcome my self promotion challenge I’m offering a podcast of a recent blogradio show: http://bit.ly/1c4dkdH , JOURNALS OF A HEALER, A Personal Account of Ventures Beyond Time, Space and So-Called Reality, is a narrative non-fiction chronicle of Multi Life Therapy, my greatest life work, featuring over 30 client “trips” to other lifetimes. At 84, I think it’s time to promote my work. What a wonderful post and amazing interview! Thank you for sharing this book, author, and interview with everyone! Universe 101 helped me in many ways and I hope others give it a read so that it may help them. A very interesting interview. I know Monica personally, and even now am fascinated by how her gifts work. The last point she makes is very very poignant. Intention in everything we do, whether it’s share a story or answer someone’s question or cook a meal or hold open a door, is absolutely what determines the fruit of our action and whether it’s a positive or negative impact on the world.